© 1989 1998 Kevin Siembeda, published by Palladium Books. Artwork by Wayne Breaux Jr. The VDF-6A history and RPG stats are found in "Return of the Masters" Second Printing pp 106-109. With the relative success of the early versions of the Super Alpha, the REF high command decided to enter the super alpha into full production. The first production model, or the VDF-B, kept the basic airframe and most of the weaponry of the initial pre-production design. However, the traditional hand held GU-13 and the arm mounted GU-XX2 were replaced with the more modern and ammunition less EU-13 weaponry. In addition, the multimissile system was upgraded such that each of the leg box launchers were modified to hold an additional 2 hammerhead missiles. The largely ineffective smoke launchers, placed on either sides in the inner leg, were replaced with four additional hammerhead missiles per leg. As a result the 'B' model of the VDF-6 has an incredible 76 on board hammerhead missiles. In addition the standard DD-6 medium range missile system is mounted under each intake. The older MM-5 FAST pack system was replaced with two NP-BP-10 FAST packs mounting another 27 hammerhead missiles each. Combined with the MM-76 multi-missile system the VDF-6B mounts 130 hammer head missiles with 6 diamond back missiles. The success of the VDF-6B only caused REF engineers to endeavored to improve on the versatility of the design by adding modularity to the arm mounted weapons. Unlike the VDF-6B, the C model gave the mission planner the option to place differing weapon, engine, defensive armor, or fuel pods into the four modular pods in the lower arms, where in the 6B model the ATF-401 secondary engine and the EU-13 is mounted. Two squadrons of VDF-6Ds were assigned to attack the main hive in the former Z-zone. Although, they were outnumbered by nearly 100 to one the two squadrons successfully disabled the hyperspace detector for the southern hemisphere. This allowed REF special forces to deploy several hyperspace dampers in geosynchronous orbit around earth to partially mask the incoming invasion force. VDF-6C: Served with the REF Spacy from 2045. * Indicates a small target that is difficult to strike. Attackers must make a called shot to hit them at -4 to strike. Destroying the sensor head of the VDF-6 will knock out the mecha's major sensor systems, including all of the optics systems (infrared, nightvision, thermal). Radar and communications will be unaffected. 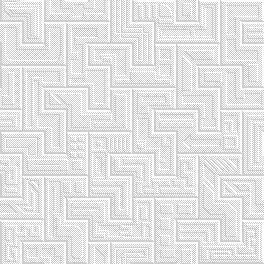 Service ceiling : 26 km (unboosted). 2 x Pratt & Whitney JG99 [Main] Fusion plasma-air/reaction mass intermix turbines. Max thrust, 160 kN each. 2 x Pratt & Whitney FE-97B first-stage intake fans, providing pressurized airflow to main, reserve, and VTOL engines..
(4xVDF-6B, 2x VDF-6C and 2 optional) Turbo-Union ATF 401 miniaturized fusion plasma-air/reaction mass intermix ramjets. 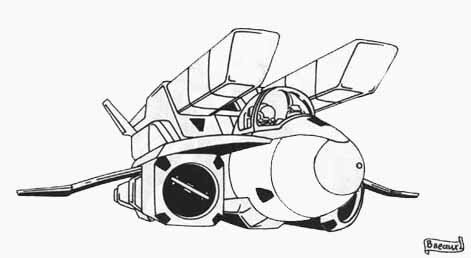 Two are mounted on the upper rear (jet mode), and two as VTOL thrusters on the lower fuselage in place of the traditional head-turret [Auxiliary]. Each engine is rated to 46.9 kN standard thrust, max overboost to 91.1 kN each. 4.40m at shoulders in soldier and gerwalk configuration. 6.70m with wings at maximum extension. 16,000 kg empty and 27,000 kg fully loaded. 200 lit. D2O reactant for fusion engines. HANDHELD EP-13 THREE-BARRELED 80MM PARTICLE GUN POD: Can fire 170 rounds per minute in full automatic mode, also capable of firing all three barrels simultaneously in semiautomatic mode at approximately one shot per second. This weapon fires 3.2 MJ pulses per barrel with its own dedicated protoculture cell and capacitor banks in the 'clip'. This weapon, built into an external shell identical to that of the GU-13, was developed in 2032 by the REF, but did not see wide use until 2037. By 2041, the EP-13 had almost completely replaced the GU-13 as the main cannon of the Alphas in the REF's inventory. DAMAGE: 2d4 for each Single blast, 1d6*10 for each triple blast, 2d4*10 for each medium burst (up to six times per melee), or 4d4*10 for each full melee burst. PAYLOAD: Conditionally unlimited. The protoculture cell is estimated to have enough power for 3000 single shots, 1000 triple shots, 300 long bursts, or 100 full melee bursts. HANDHELD EU-13 DESTABLIZER: sub-nuclear particle beam gun with output of 10 MJ, can fire up to 30 times/minute. Draws power from its own dedicated protoculture canister, but can be fired using the veritech's own power. Particles have specific, disrupting effect on force fields, and will short out a low power field completely, while high power fields may temporarily and locally cease to function. PAYLOAD: Conditionally unlimited. Each protoculture cell can power up to 100 shots. PAYLOAD: 50 rounds stored internally. MM-76 MULTI-MISSILE SYSTEM: The VDF-6 has 76 onboard variable warhead missiles. NOTE: GM's may allow players to use any standard Palladium medium range missile instead of Diamondback missiles. GU-13C THREE-BARRELED 35MM GUN POD firing 1400 rounds per minute, 1600 round capacity. Ammunition is a mix of Tungsten-coated depleted Uranium Armor Piercing Spin-Stablized Discarding Sabot (APSSDS), High Explosive Armor Piercing (HEAP) and tracer rounds. This gun is the carbine version of the GU-13 gun pod found in the Alpha fighter. However, due to its shorter barrel, accuracy, penetration, and range are appreciably reduced. EU-13C THREE-BARRELED 80MM PARTICLE GUN POD: Can fire 170 rounds per minute in full automatic mode, also capable of firing all three barrels simultaneously in semiautomatic mode at approximately one shot per second. This weapon fires 2.4 MJ pulses per barrel in each mode, drawing power from the aircraft's main energizer. This gun is the carbine version of the EP-13 gun pod in the later model Alphas. However due to its smaller size, its energy and range are appreciably reduced. This weapon was developed around 2035 and started being widely deployed in 2039. The VDF-6B does not posses the modularity weapon systems that the VDF-6C does and therefore mounts two EU-13c in both arms. DAMAGE: 2d4 for each Single blast, 1d4*10 for each triple blast, 1d6*10 for each medium burst (up to six times per melee), or 3d4*10 for each full melee burst. EP-13C DESTABLIZER: Carbine version of the standard EP-13 found on the VAF-6S Shadow Fighter. Sub-nuclear particle beam gun with output of 8 MJ, can fire up to 30 times/minute. Draws power from its own dedicated protoculture canister, but can be fired using the veritech's own power. Particles have specific, disrupting effect on force fields, and will short out a low power field completely, while high power fields may temporarily and locally cease to function. MM MULTI-MISSILE SYSTEM: Each modular hard point can be configured with a modular missile system. Each hardpoint can carry a single long range missile, five Diamondback medium range missiles, or 5 hammerhead missiles with 15 additional reloads. RATE OF FIRE: Long Range - One at a time, Medium/Short Range - One at a time or in volleys of 2, 3 or 4. PAYLOAD: One Long range missile or 5 medium range diamondback missiles, or 5 hammerhead missiles with 15 reloads. TURBO-UNION ATF-401 MINIATURIZED FUSION PLASMA-AIR/REACTION MASS INTERMIX RAMJETS: The mission planner must install the ATF-401s in pairs. When installed the top speed in fighter mode will be increased by 500 kph and the fighter will gain a bonus of +2 to dodge in all modes. The VDF-6B does not posses the modularity weapon systems that the VDF-6C does and therefore mounts two ATF-401s in both arms. 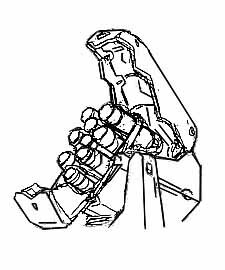 PP-2 MECHA PINPOINT-BARRIER SYSTEM: A mecha size pinpoint barrier system can be mounted in each arm. The PP-2 is capable of projecting a single barrier that is capable of absorbing 20 MJ of kinetic or particle energy before depleted. 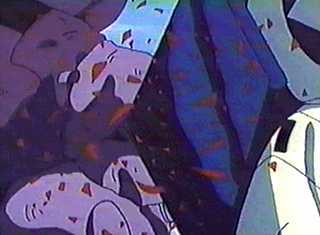 The pilot is capable of moving the barrier, costing a single attack, to project any area on the mecha. ADDITIONAL ARMOR: An additional 150 MDC of armor can be added to the arm shield in each of the modular weapon systems. HF-2 MECHA HYPERSPACE FOLD SYSTEM: The HF-2 system was designed to transport a single mecha up to 25 light years. The HF-2 requires four canisters of protoculture for each fold of 25 light years. The system can hold at maximum eight canisters; however, any qualified bio-maintenance engineer can recharge the system given 1d4 hours. 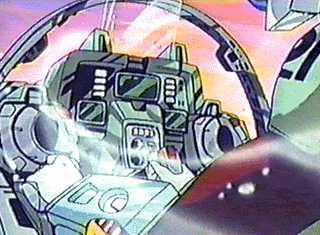 Normally, the pilot does not plot the mecha through hyperspace but has a qualified hyperspace navigator plot the course before the mission. However, if the pilot possess navigation hyperspace, the pilot can pilot his own course. The HF-2 hyperspace fold system requires the use of both of the modular spaces in the lower arms. BODY/WING HARD POINTS: A single fixed hard points are mounted on each wing. These hardpoints can be used to carry 15 short range missiles, 5 medium range missiles or 2 long range missiles. HAND TO HAND COMBAT: If necessary, the VDF-6 can engage in melee combat rather than use a weapon. The VDF-6 is extremely agile and can execute most typical hand to hand combat moves, such as punches, jump kicks, leap attacks, rolling with impacts, etc. RRG MK3 SHADOW: four-dimensional distortion field generator (downshifts and dampens protoculture radiation) emitting only weakly in these wavebands. NOTE: . Once the mecha has lost half of its main body MDC, there is a 40% chance that the stealth system will fail every time the main body of the craft is hit. Once the stealth system has failed, it will not work again until repaired at a RDF base. RRG MK4 EM-ABSORBING SKIN COVER: strongly absorbing EM radiation from radio through ultra-violet wavelengths, and emitting only weakly in these bandwidths. Conventional Radar effectiveness is reduced by 95%. AUTO-PILOT: The VDF-6 is equipped with a computerized auto-pilot, allowing the pilot to relax or even sleep during long voyages. The auto- pilot can be programmed with a single destination or a complex flight plan involving multiple speeds, directions, and destinations. The onboard computer will alert the pilot when the fighter is near its destination, and can also be set to automatically signal when sensors detect objects near the mecha. The auto-pilot was designed with long intra-system space journeys in mind. HOMING SIGNAL: The escape pod of the VDF-6 is equipped with a homing device that enables rescue teams to locate a disabled craft or ejected life pod. The range of the signal is 400 miles (640 km). Most REF ships and veritecs can locate and track a homing signal, and the onboard computers will automatically notify their pilots if such a signal is detected. TEXAS INSTRUMENTS APG-137 X-BAND PULSED DOPPLER RADAR: 150 mile range. SELF-DESTRUCT: To prevent capture of an advance variable fighter by the enemy, the pilot can activate the VDF-6 self-destruct system, which will cause the fighter to explode after a delay of up to 60 minutes (time is set by the pilot). The explosive damage is contained within a 20 foot (6 m) area and inflicts 3D6x10 M.D. to everything within the radius of the explosion. All internal systems are obliterated. The escape pod will be automatically ejected prior to the explosion unless the pilot overrides the ejection sequence. TACTICAL LIFE SUPPORT SYSTEM: The VDF-6 cockpit is pressurized, and also provides additional air feeds to the pilot's flight suit that provides him with pressurized breathing. The REF flight suit also contains an upper and lower g-suit that promotes blood circulation even during high-g turns, thus decreasing the possibility of pilot's blacking out in combat. Palladium Books: "Return of the Masters"